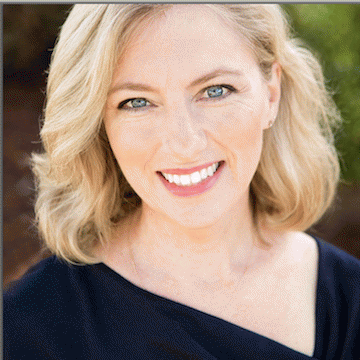 My guest today is Kristin Rowe-Finkbeiner, executive director of MomsRising. Joan Brunwasser: Welcome to OpEdNews, Kristin. I'm willing to bet that many of our readers are not familiar with your organization. Can you tell us a bit about about it, please? Kristin Rowe-Finkbeiner: Thanks so much for including MomsRising and sharing our work with your audience. In short: MomsRising is an organization for moms and everyone who has a mom. It's for anyone who has a bellybutton, essentially! We are an on-the-ground and online grassroots organization with more than a million members working to increase family economic security, decrease discrimination against women and moms, and to build a nation where businesses and families can thrive. Established in 2006, MomsRising and its members, audience, and volunteers are organizing and speaking out to improve public policy and to change the national dialogue on issues that are critically important to America's families, including fair pay, paid family leave, health and health care, childcare, childhood nutrition, criminal justice reform, immigration policy reform, and gun safety. MomsRising also maintains a Spanish language website:Mama'sConPoder.org. JB: Your agenda resonates with me. How and why did you get involved? Please share your story with our readers. 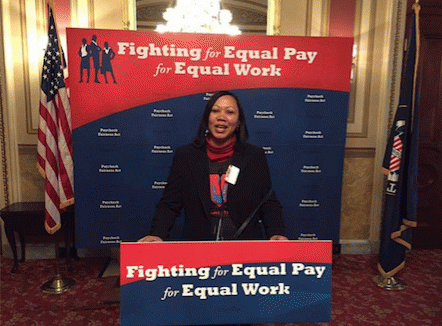 K R-F: I'm one of the founders of MomsRising. The organization grew out of a book that I co-authored with the other MomsRising founder, Joan Blades. In the book, The Motherhood Manifesto, Joan and I argued for sweeping change in America's support for mothers and families. We saw that radical shifts were needed in both the public and private sectors to make parenting and the workplace compatible and proposed concrete solutions to the obstacles facing modern moms. Those issues were the basis for the MomsRising agenda. Now, ten years later, we have more than a million members, an active on-the-ground and e-outreach program that offers our members easy and fast ways to take action on a range of issues that affect all moms, a blog and social media reach with more than three million readers, and even a radio program! Fighting for a better world is in my blood. Before working with Joan, I was deeply involved in cutting edge politics and policy analysis for more than a decade. I worked as a consultant in the field of political strategy and policy analysis for several major environmental groups, and before that, I developed the political and field programs for the Washington Conservation Voters. While there, I created a model statewide grassroots program to elect, endorse, and support environmentally responsible candidates, which was widely replicated and I'm proud to say is still used today! JB: Wow! So, it was no fluke that your good idea and platform have caught on like they have. You had the chops to pull this off. What is MomsRising working on right now, Kristin? K R-F: MomsRising has several campaigns going right now, as we always do. Here are just a few"
View All 13 Articles in "health care"